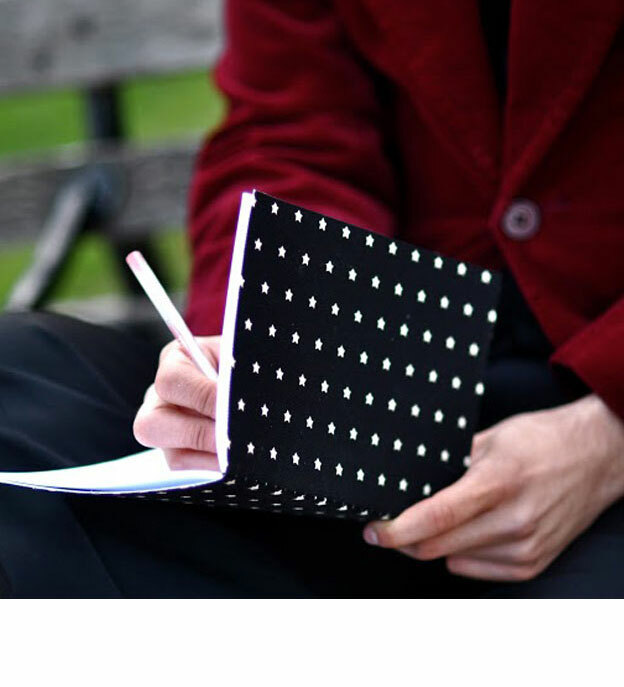 Keelan Rogue is pleased to offer the new KR Notebook Collection. Each notebook is uniquely covered in a vintage fabric surrounding 30 crisp white pages for writing, sketching or to simply make all other shopping lists at the market jealous. The books are hand stitched by Keelan Andrews himself and are as distinctive and memorable as all other KR products. The notebooks come in a variety of patterns and textures. Covers are continuously changing so there’s always something new. Books measure 5.5″ x 8.5″ tall and have a sturdy construction. Once you’ve filled yours’ up, simply send your notebook back to Keelan and he will stitch in additional pages free of charge. Check out the new notebook by Keelan Rogue.